Floor Area Ratio (FAR) shall be calculated by dividing the total Gross Floor Area (GFA) of all buildings on a lot by the area of that lot. 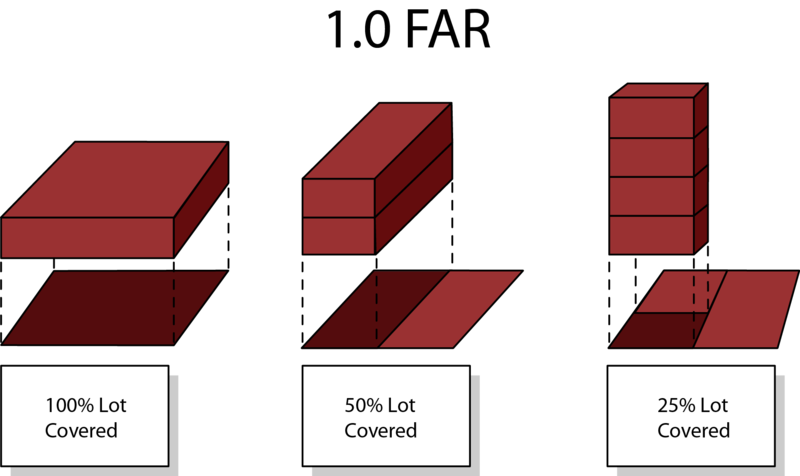 For the purpose of calculating FAR, lot area shall not include private rights-of way that serve as the equivalent of a private street for the site, but shall include private rights-of-way that provide access to service, loading, or automobile parking areas. FAR provided in the development standards shall be limited to two decimal places.